There’s still time to plan your Labour Day vacation in the Canadian Rocky Mountains. 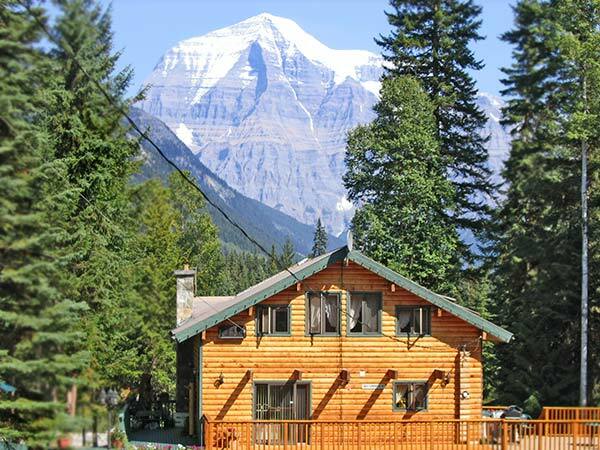 Book ahead at Mountain River Lodge, the nearest accommodations to Mount Robson and Jasper National Park on Hwy 16 NW. Choose a room in the Main Lodge or select one of our fully equipped cabins. Main Lodge guests enjoy rooms with mountain or forest views, private bathrooms and a full breakfast. If you choose a private cabin, you’ll have a fully equipped kitchen, plus a fireplace to warm up at night, a balcony to take in the view, gas barbecue for evening cookouts and satellite TV so you don’t miss your favorite shows. We also have pet-friendly cabins. Bring Fido along for your weekend trip! The longer Labour Day weekend gives you time to spend a day hiking nearby Berg Lake Trail or whitewater rafting. There are also horseback rides, boat tours and all the trails on Mount Robson and Jasper National Park. All are great ways to appreciate the mountains, waters and wildlife of the Canadian Rockies. Take the drive up the Fiddle Valley and relax in the mineral waters of Miette Hot Springs. Valemount is only 20 minutes away if you need gas, groceries or other services and amenities. For fun shops and dining, visit the quaint town of Jasper, a scenic one-hour drive away. After a day of outdoor adventures, your room or cabin at our Mount Robson accommodations will be the perfect place to relax in comfort. By then, if you’re too tired to drive out to a restaurant, not to worry. With prior reservations, we offer a 6:30 pm supper so you can dine in. If this sounds like a great way to spend the long Labour Day weekend, give us a call at (250) 566-9899 or inquire about reservations today! Bid a fond farewell to summer with a perfect 2012 Labour Day getaway at Mountain River Lodge. Visit the Jasper Yellowhead Museum and Archives! View the Extraordinary with a Maligne Canyon Icewalk!